As I was checking out a few other blogs a few weeks ago, trying to get some new dieting ideas, I discovered Naked Me Tea. With it still being the New Year, I have still been trying to stick with my commitment to live a healthier lifestyle. One of the ways I love do this is with a detox and cleanse. After discovering the wonderful things a fellow blogger had to say about what Naked me Tea did for her I knew I had to contact them for a try. Thankfully they quickly agreed and graciously sent me over their Detox Starter Kit which includes the 14 day detox kit and NMT Steep Machine. Using 100% natural ingredients, there are 2 components to this program which will help you lose weight more naturally - Boost Me and Cleanse Me. 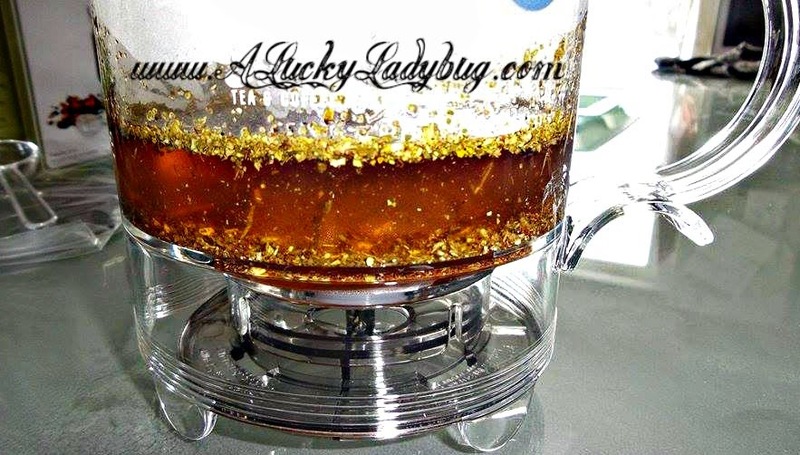 The NMT Steep Machine helps efficiently steep your tea without mess or complicated steps. Before I even get into the tea and it's effects, I have to tell you I love the patented drain mechanism in the steep machine as I've not yet found anything that compares in steeping tea or coffee to the ease this machine has. 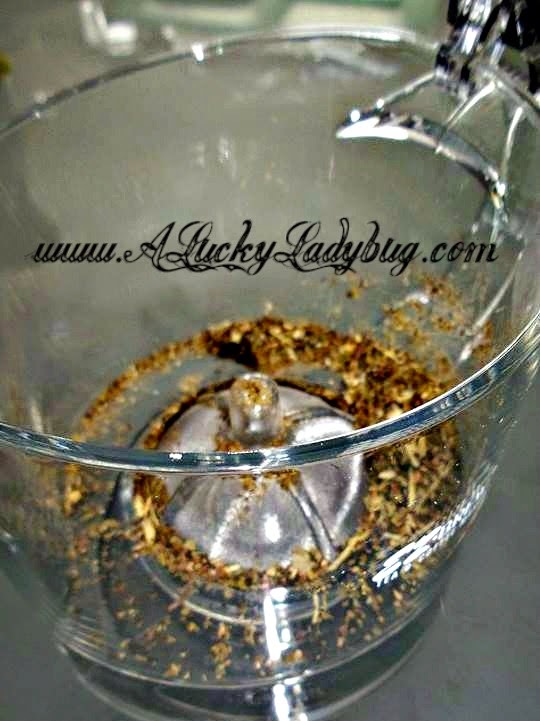 All you need to do is add water and loose leaf tea (or coffee grounds), steep until you feel ready and set the machine on top of your mug. The liquid drains and leaves all traces of leaves or grounds in the top portion! The Boost Me tea should be taken each morning to help boost metabolism, increase energy and mental focus, reduce appetite, reduce bloating, and helping boost your immunity while doing so. There is no caffeine and only natural ingredients such as Yerba Mate, Black Tea, Licorice Root, Cardamom, Ginger Root, Black Pepper, Cloves, Gotu Kola. The Cleanse Me tea should be taken each evening to help promote digestion, stabilizing blood sugars using anti-inflammatory actions, improve skin clarity, boosting the immune system again, eliminate toxins, and finally promoting relaxation. Holy Basil, Spearmint, Rosehip, Lemon Myrtle, Linden Blossoms, Ginger Root. The Boost Me taste was the best in my opinion but even both were good. I feel like whenever you try a tea program like this, it is almost always green tea and has a very bitter flavor. I loved that this was black tea and had a natural sweetness to it. I have to say again this wasn't like most cleanses where you are stuck in the bathroom for hours and days. It was almost as natural as drinking tea any other day. I definitely noticed a difference in my skin with a reduction in blemishes, less oil, and no dryness (even over my period). I did not notice a difference in my energy or sleep levels as it mentions you will. I did notice I felt less bloated (especially during my period again) and as if I lost a little water weight. Most importantly, I noticed a major reduction in appetite! This is mostly because I was filling up as much as I could with the tea to keep from even getting the slightest craving. I will update with an after once I am done taking this whole 14 days kit. Recommendation: I definitely recommend trying this! Most cleanse programs can cost twice as much and taste horrible or make you feel horrible. I see myself buying more of the Naked Me products in the future! 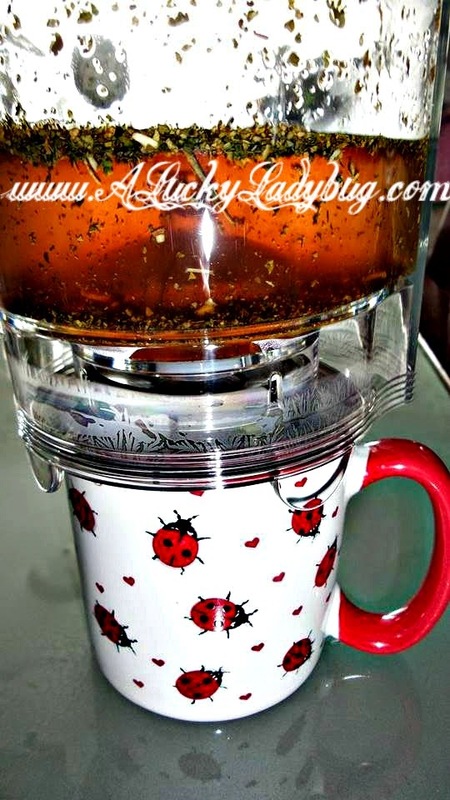 Giveaway: Naked Me Tea is going to give THREE of A Lucky Ladybug's lucky readers a *different tea kit each to try of their own! Awesome - glad to hear you liked it. I love their teas and did see a difference in my sleep (had deeper sleep), bloating, appetite and it shrunk my stomach for sure! I have such a problem with my sleep that I would love to try the tea that might help me out. And it never fails when I seem to get enough sleep I oversleep after I get the kids off to school because I'll head back to bed!